There are many things to consider when calling defensive plays in Softball. These will include the number of outs, the number of runners, who the runners are, the next batter and the current score to name a few. 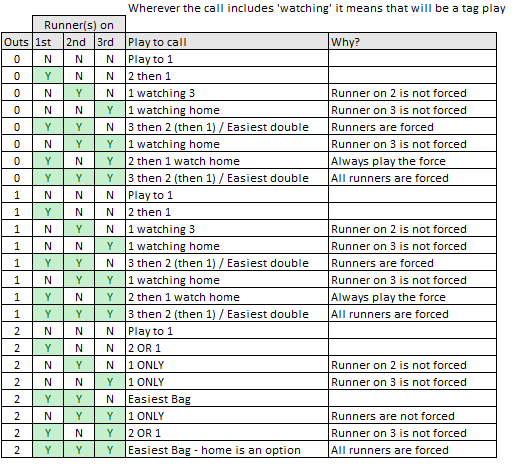 The table below should be a useful guide for new players to the game and is based on the number of outs and runners on base. 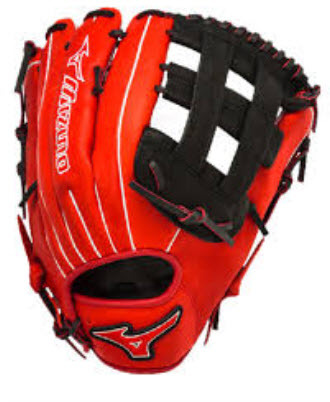 Thinking about buying a glove? 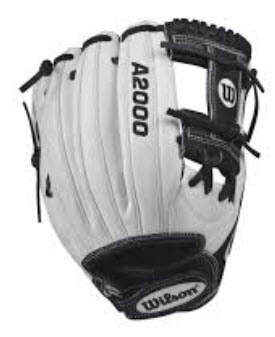 A Glove is the most personal piece of equipment a softball player will use and deciding which one to buy is like wading through a minefield of brands and variations. 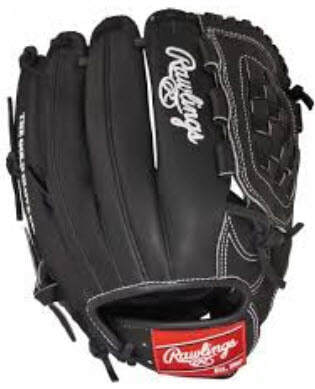 Our advice would be to try out lots of gloves before making your decision and do your homework. With so many options out there we have found this excellent guide on the sportsunlimitedinc website. Thinking about buying a bat?